Personal injury claims involving injury because of the negligence of another person or corporation. 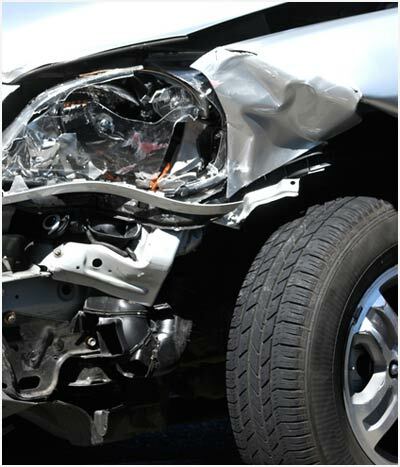 The most common type of personal injury claims involve motor vehicle accidents. If you have suffered an injury, you will ultimately be dealing with the negligent person's insurance company. If they had no motor vehicle insurance, you will then have to pursue a claim against your own vehicle's uninsured and/or medical pay coverages. Insurance companies will likely want to take your recorded statement before you can even talk to an attorney. They may make an immediate "low ball" settlement offer before the extent of your injuries are known in full. They may deny your claim entirely. The insurance company will try to limit its liability as much and as soon as it can, which will have a negative effect on the amount you are compensated. It is important that you have an advocate who can deal with their adjusters and attorneys to ensure you are receiving the proper amount of compensation. If you or a loved one has been involved in a workers compensation accident, contact The Law Office of Dennis J. Mahr, L.L.C. today at 712-233-1623 or 1-800-621-0783 for a free consultation. Don't let the insurance companies dictate how your claim is handled. You will owe us nothing in attorney's fees in any workers compensation accident claim unless we obtain a recovery for you. Any general advise set forth above should not be utilized to decide your individual course of action in any particular case without consulting with an attorney to first see if all relevant facts and laws have been taken into account.